Arunodaya strives to rebuild the lives of the HIV-positive and those affected by HIV by building their all round capacities and facilitating attitudinal change among them. The organization provides education to the poor who can't utilize opportunities because of financial restraints. It also provides food and shelter to these children. Arunodaya Trust is situated at H.No: 1-4/7, Road No 2,Ex Servicemen Colony, Balaji Nagar, Jawharngargar Gram Panchayat, Shamirpet Mandal, Rangareddy District, Telangana State. In 2008 ARUNODAYA TRUST started its activities initially. 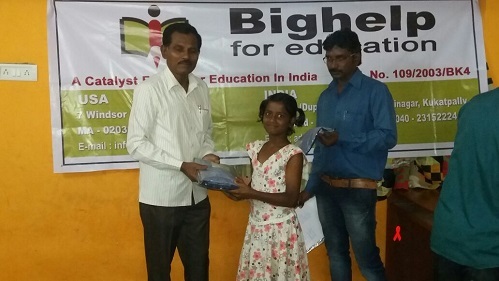 Arunodaya has also launched its own concept school which offers free education to orphans and destitute children. The concept school will begin its first academic year in June, 2010 and will have classes from pre-primary to high school. 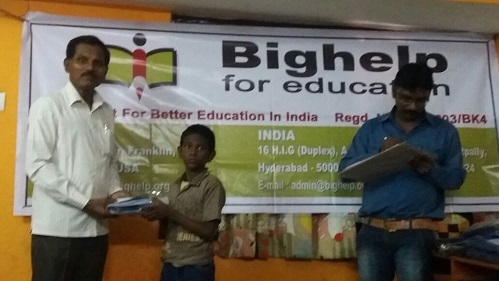 Mr. Venkat Rao Founder of Arunodaya Trust approached Bighelp. Basing on the request Mr. Srinivasa Rao Asst. Exe. Director of Bighelp inspected the Organization. He held discussions with him, students and staff. After discussions he came to a conclusion their request for providing uniforms were found genuine. The executive body headed by the Bighelp President Mr. Chand Pasha Shaik has reviewed the need for the support and approved the project.